Understanding the fundamental elements of the English Language is extremely important for preschoolers. This will enable them to grasp more complex concepts in as they enter Primary 1 and grow to become independent learners. Our Kindergarten Reading and Writing Classes help the children to lay a strong foundation in English Language by equipping them with the skills to read and write successfully. Our Year 1 Phonics & Reading programme helps children build a strong foundation in reading through a combination of phonics and sight word teaching. Children will learn to read, spell and decode unfamiliar words. A renowned Usborne Reading Series is used to benchmark our children’s reading progress. Our Writing programme equips children with the skills to communicate effectively through writing. Children will learn to express ideas in sentences, proof-read and edit sentences as well as skills to develop creative stories! Our writing programme helps to bridge the gap between Kindergarten and Primary One school! We run small classes of only 6 students. This promotes higher interaction between the teachers and the students. Our small class size of 6 allows our teachers to give every student close attention and guidance, ensuring effective and focused learning. What is the goal of the Kindergarten Programme? Our 2-year Kindergarten Reading & Writing Programme aims to equip our children with important foundational skills to read and write. Our well-structured lessons are also geared towards enabling a smooth transition into the primary school curriculum. Beyond that, we give them a head start for our Primary One Creative Writing Programme. What kind of approach do we use? 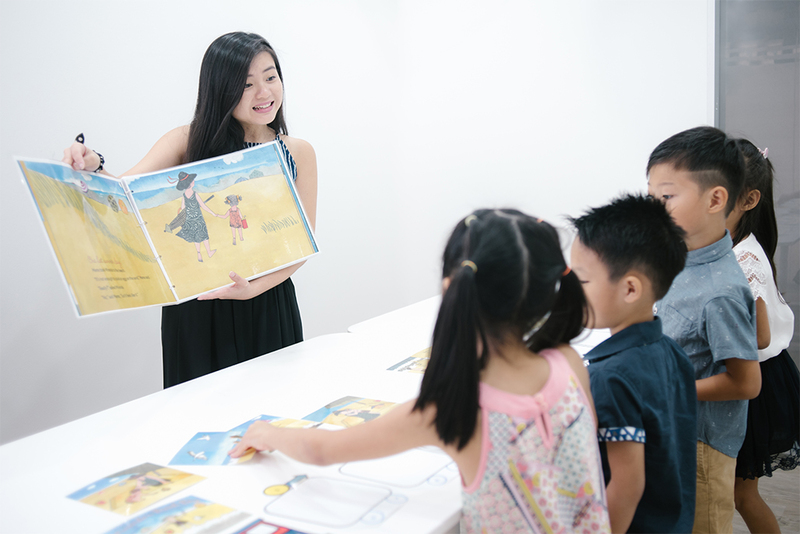 We use a skills-based approach to equip our children with effective reading and writing skills through our well-structured lessons and activities. Mastery is made easy through our PPP model: Present, practice and produce. What does our curriculum cover? What is the difference between Year 1 and Year 2? The main focus for our Year 1 programme is to develop children’s ability to read while the main focus for our Year 2 programme is to develop our children’s ability to write. Learning to write is definitely not too early for Kindergarteners. Providing positive experiences in writing during their early years are crucial for their literary development. Writing is also a powerful tool to communicate ideas, knowledge and emotions. 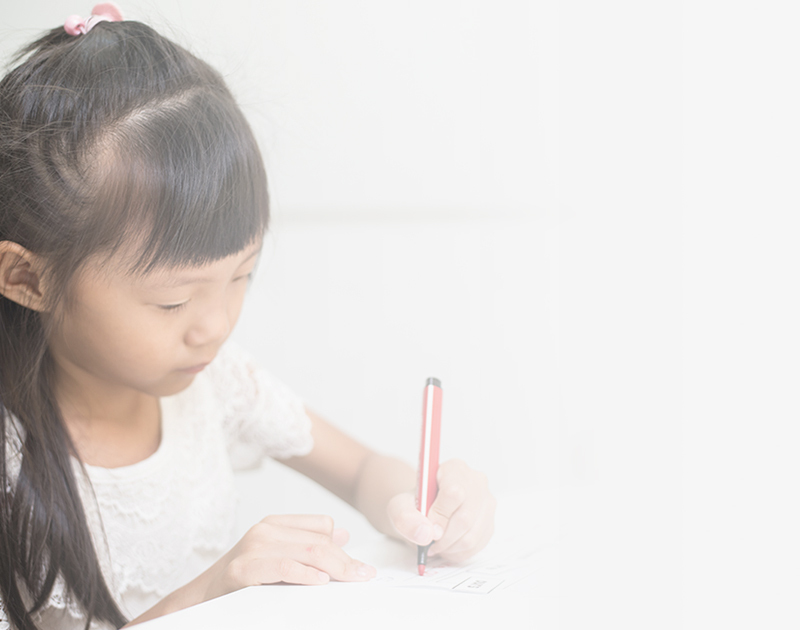 Being able to write well will enable children to develop their motor skills too. Additionally, beginning at a young age will help to build the children’s stamina in writing. Our patient and dedicated teachers will encourage them to persevere through their initial difficulties. Our classes allow them the time and space to grow at their own pace. This will also help the children to develop a growth mindset instead of a fixed mindset as well. Your child is suitable if he/she is 5-6 years old, and is able to recognise most of the alphabets and their associated letter sounds. Children attending our Year 1 programme should be able to grasp writing instruments as they will need to trace and write different letter shapes. Children attending our Year 2 programme should be able to write and copy down words independently. Your child may attend one trial class before deciding if our programme is suitable for him/her. If your child is 5 years old, yes, our Year 1 programme is suitable. Building on his/her phonics skills is a key component of our Year 1 curriculum. 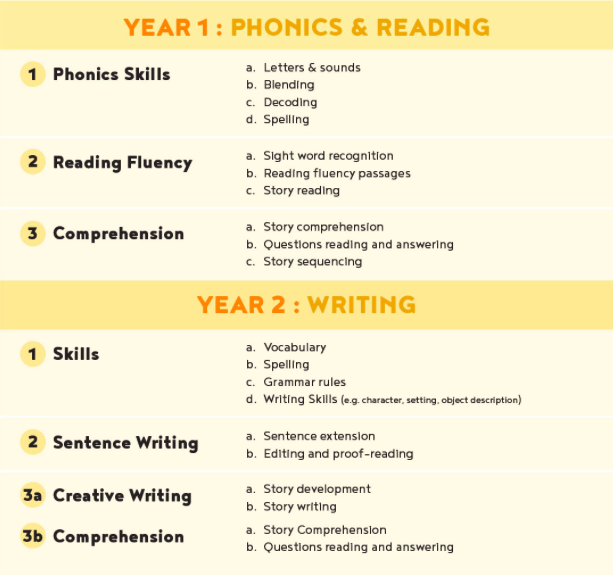 However, if your child is is 6 years old and would like to attend our Year 2 writing class, it is recommended that he/she has prior exposure to phonics. Join us for a trial class so we can assess the child’s ability and place them in the suitable programme and class. We do offer catch up sessions for students who join the programme later or students who need more practice. Yes. Weekly homework will be provided for parents to reinforce children’s learning at home. Reinforcing learning at home will result in a higher retention rate when concepts and skills are being rehearsed more than just once a week and across different setting. This is especially important for younger children who require more guidance from adults. Hence, we value and appreciate parents’ commitment and support by ensuring that the homework is completed before the next lesson. Have other questions in mind? Over just one term at The Write Corner, we have seen good progress in Hui En’s reading and writing skills, which is also echoed by her preschool teacher. Lessons are interesting and interactive. Worksheets effectively test the students grasp of the concept and are different from mainstream assessment books. Thank you to Teacher Jessica who never fails to update every parent about her student’s progress even though it’s quite late into the night after class has ended. It is rare to find passionate teachers these days and we are fortunate to have chosen The Write Corner!